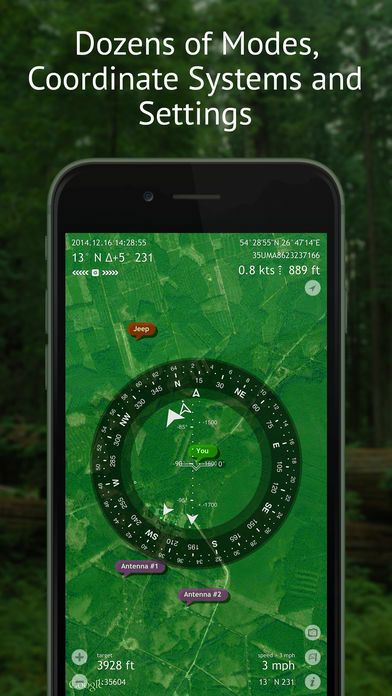 Spyglass is an essential offline GPS app for outdoors and off-road navigation. Packed with tools it serves as binoculars, heads-up display, hi-tech compass with offline maps, gyrocompass, GPS receiver, waypoint tracker, speedometer, altimeter, Sun, Moon and star finder, gyro horizon, rangefinder, coordinate converter, sextant, inclinometer, angular calculator and camera. 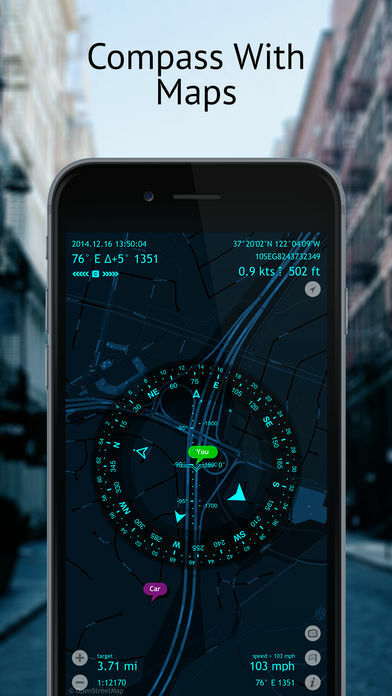 It saves your custom places and waypoints, navigates precisely to them later, shows them on maps and using real-time augmented reality displays detailed GPS info, measures distances, sizes, angles, and does a lot more. 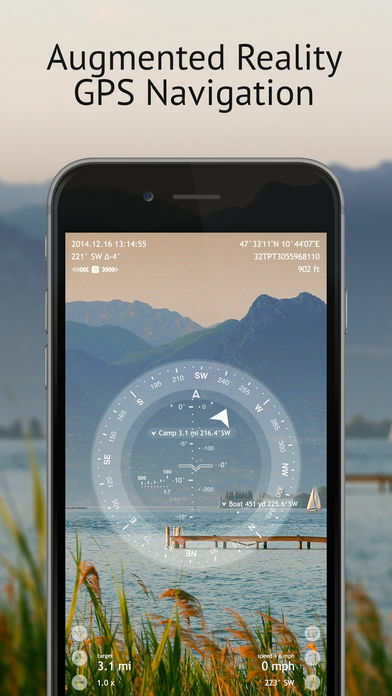 Accuracy improvement techniques, special compass modes and calibration methods available in Spyglass only make it a real instrument – the most advanced and accurate digital compass. Spyglass operates in 3D and uses augmented reality to show real-time object positions, info and directions to them overlaid over camera or maps. 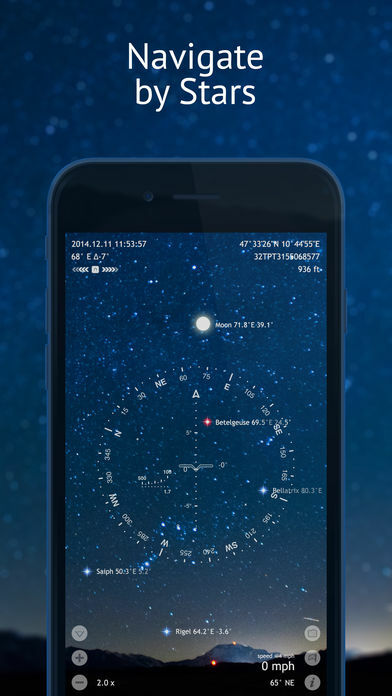 Save current position, add points from maps, manually enter location coordinates and bearings, add stars by hand or use a built-in star catalogue. 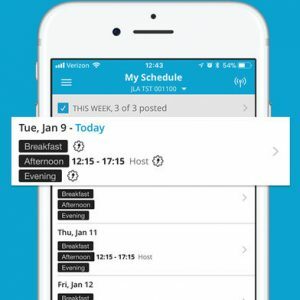 Find saved places and objects later simply by following directional arrows. Spyglass tracks multiple targets simultaneously and shows their info – distance, direction, azimuth, elevation and estimated time of arrival. 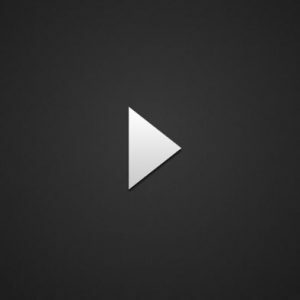 Copy, paste and share locations, coordinates and map links using many supported formats. Find and track your location and get detailed real-time GPS data – coordinates in dozens of formats, altitude, course, current, maximum and vertical speed, using imperial, metric, nautical and surveying units. See your and targets’ positions on maps using different map styles and alternative map providers – plan waypoints and measure distances. 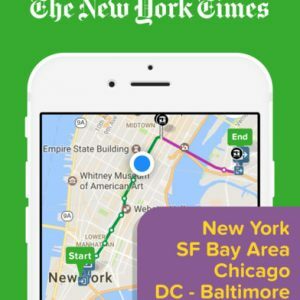 Offline maps optimized for retina displays are available for download. Track positions of stars, Sun and Moon with arc second precision – use them as a reference to calibrate compass for maximum accuracy. 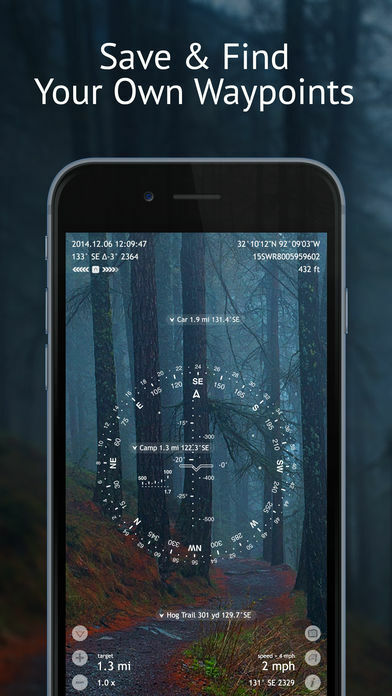 Measure distances to objects in real time with a rangefinder reticle similar to sniper sights. Find out heights of objects and distances to them – measure visually and calculate dimensions and distances. Take pictures overlaid with all available GPS, positional and directional data.